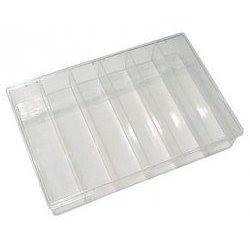 Since cleaning up my closet, I now have a craving for bright clear lucite trays and boxes for storing my growing jewelry stash. 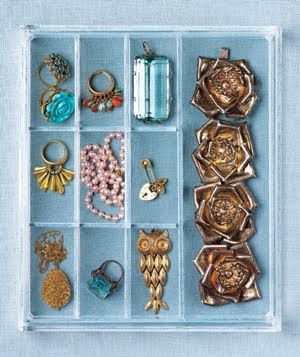 Above is an acrylic tray from Stacks and Stacks, recently featured in Real Simple. 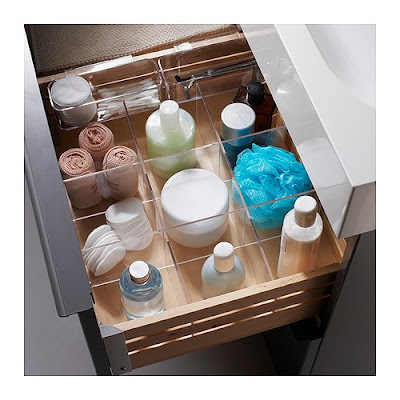 IKEA has a new line of acrylic storage called Godmorgon, which ranges from $8 to $15 and includes these neat drawer dividers. 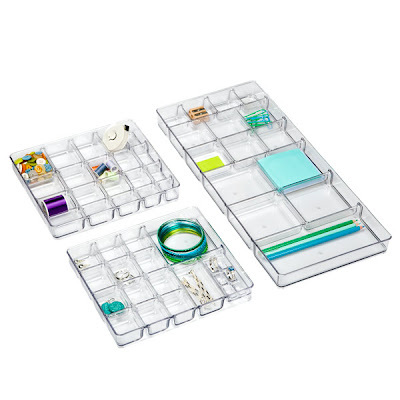 Then there are small compartment trays like this one at Stacks and Stacks for $18. 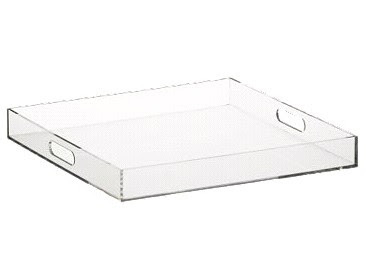 One of my favorites - cb2's format tray for $35.00. Just think of the joolz you could spread out in here. 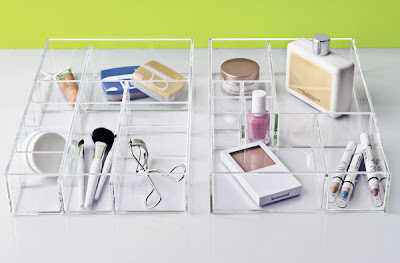 Tomorrow I'll show you my 100% free DIY acrylic storage.